Bankruptcy Lawyer Kevin Cortright helps clients get a fresh start with their finances. Many people find themselves, at some point in their lives, drowning in debt and looking for a way to get back on even ground. Bankruptcy will wipe out your debt and give you a completely fresh start. If you’re struggling with debt and considering filing either a Chapter 7 Bankruptcy or a Chapter 13 Bankruptcy, it’s important to understand what bankruptcy can and can’t do for you. Contact Cortright Law today. We can provide the answers you need to make that will get you heading toward a bright financial future. 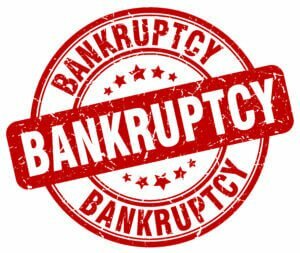 Call (951) 677-8064 or (760) 325-6900 and schedule a free consultation with Bankruptcy Attorney Kevin Cortright. Let’s face it. You are on this webpage because you are facing a serious financial concern. The good news is we can help with all of these financial issues. And even better news we can put an immediate stop to your financial concerns even the same day. If you need immediate help, call us today for your free consultation. We are standing by and ready to assist. We can help determine whether Chapter 7 or Chapter 13 Bankruptcy will be the most advantageous for your situation. Chapter 7 Bankruptcy is best for average to low income earners. Usually debtors that are having issues mainly with unsecured debt, including credit cards, repossessions, medical bills, etc. It is not the proper chapter if you are behind on your car, house, or HOA payments and want to get caught up. Most people who file Chapter 7 are able to keep all of their assets. Your Chapter 7 options will be discussed in detail during your free consultation to determine whether it is the right option for you. Chapter 13 Bankruptcy is best for average to high income earners. It is a restructuring plan which establishes a repayment plan on your debt. Most debtors pay back between 10%-100% of their debt. Some good points of this tool is that the debt is usually paid back interest free, and you only have to make one payment a month. Unlike Chapter 7, Chapter 13 is the perfect chapter to file if you are behind on your car, house, or HOA payments and you want to get caught up. Chapter 13 Bankruptcy provides some powerful tools to restructure outstanding debt agreements. Cortright Law has helped countless clients to get rid of their financial debt and also hang on to their most valued belongings and property. We’ll guide you through the process step by step. When you call Bankruptcy Attorney Kevin Cortright, you’ll get a complimentary assessment of your financial situation. Our attorney will listen in detail to your financial situation and develop a plan designed to get the results you are seeking. Contact the Law Offices of Kevin Cortright today for your free consultation. Call (951) 677-8064 or (760) 325-6900 or reach us online, and we will get back to you soon.